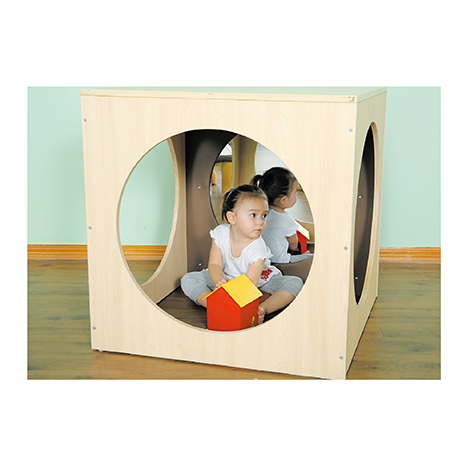 The Cube Mirror Play Space is fantastic for children to explore the sense of self and other objects around them. The wooden cube will provide many moments of wonder and fun. Consisting of three entry points and two child safe acrylic mirrors (one on a side and one on the internal ceiling). Supplied flat packed with simple assembly instructions.